Exciting changes are planned for this site, including the transformation of the entrance hall. Popular exhibitions such as the Memory Centre can still be visited during this process. An informative brochure entitled “Slaves at the Cape: Oppression, Life and Legacy” is now available. The brochure provides visitors with an overview of the history of slavery at the Cape. The Slave Lodge was built in 1679 as the slave lodge of the Dutch East India Company. It is believed that up to 9000 slaves, convicts and the mentally ill lived in the building between 1679 and 1811. The Iziko website The Heritage of Slavery in South Africa gives details of the slave period in the history of the building. In 1810 the building was modified to serve as government offices. Various governmental offices were housed in the building during the nineteenth and early twentieth centuries, for example, the Governor’s Advisory Council, the upper house of the first parliament, The Cape Supreme Court, the first library, the first post office, Deeds Office, and the Women’s Auxiliary Services of the South African Defence Force. The building was restored in 1960 for use as a cultural history museum. 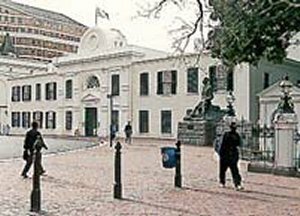 The Slave Lodge, then known as the SA Cultural History Museum, opened its door as a museum on 6 April 1966. The SA Cultural History Museum, originally a division of the SA Museum, became an autonomous museum in 1969. In 1998 the building was renamed the Slave Lodge. 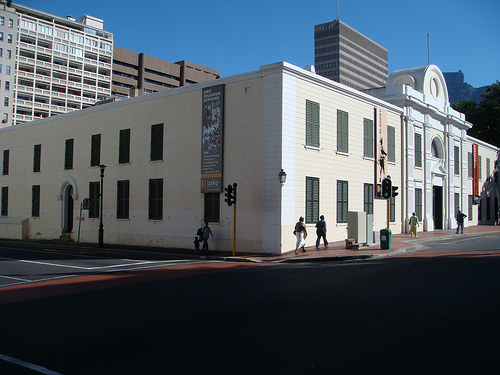 In 2000, the museum and its associated sites amalgamated with its parent body as well as the SA National Gallery, the William Fehr Collection and the Michaelis Collection to form Iziko Museums of Cape Town.